Our independent schools have distinguished themselves by training student-athletes. Haverford and Agnes Irwin in lacrosse. 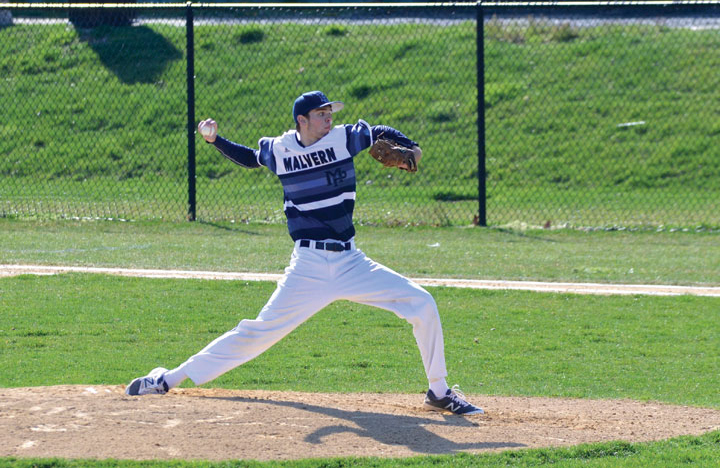 Malvern Prep in baseball. Padua in softball. Friends’ Central in track. Skill and effort on the field is complemented by diligence and effort in class. The combination has proven very attractive. Many go to choice schools. The Haverford School was ranked 1st in Pennsylvania and 13th in the nation. Coached by John Nostrant, the team finished the season 18-3 and topped the Inter-Ac League, with seniors TJ Malone, Luke O’Grady and Scott Deck leading the attack. Malone is headed to Amherst and O’Grady to Providence University. Deck may try to walk on at Notre Dame. Bishop Shanahan also finished 1st and was ranked 5th in the state. In Class 2A of the Pennsylvania Interscholastic Athletic Association (PIAA), the Eagles captured their first-ever statewide championship. Clinching the Inter-Ac title, Agnes Irwin finished the season, 17-6. Maria Pansini, senior co-captain, was outstanding all season. Coach Lauren Wray said she “dominated all over the field.” She’s “reliable and competitive and is great leadership on our team.” Next year she’ll play at Princeton. 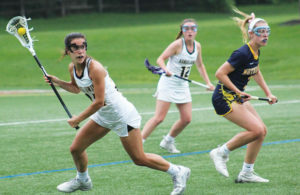 The Hurricanes of Villa Maria Academy lost only twice in the regular season, shut out the Catholic Academies conference, then for the first time won the PIAA Class 2A championship. Malvern Prep handily won the Pennsylvania state championship for the second year in a row. The team was ranked 11th in Pennsylvania, won the Inter-Ac league, and finished 30-7 overall. Billy Corcoran, its senior captain, carried an ERA of 1.14 and was named the league’s MVP. He’s headed to pitch at the University of Pittsburgh next season. Although 3rd in the Mid-Atlantic Prep League, The Hill School had several seniors selected all-league: Luke Allain, pitcher and outfielder; Daniel Monzo, catcher; and Austin Keil, first baseman. Monzo and Keil had batting averages over .425. Allain is going to Bucknell, Monzo to Muhlenberg, and Keil to Case Western. Padua Academy finished 11-7 this season, but ultimately lost in the state tournament. Standout sophomore all-state first-baseman Zoey Jones, with a .545 batting average, has verbally committed to Florida Atlantic. Junior outfielder Katie Twardowski hit .565 and was selected all-state. Junior shortstop Catie Baxter, with a .645 batting average and an on-base percentage of .790, was selected to the 2nd all-state team. Robby Ward of Tower Hill has his sights set on the top-75 in the nation of Boys 18s tennis. A first seed in the Delaware state tournament, Ward has been undefeated for three seasons—he last lost in 8th grade in the state tournament finals. Bishop Shanahan sophomore Jonah Hoey—the younger brother of senior Josh Hoey, who is the #1 high schooler in the country and ran a 4:07 mile at the Millrose Games—was #2 in the mile at the PIAA district finals, with a time of 4:21. In the 400 meters, senior Rick Zink ran 48.6, winning by less than .2 of a second. Senior Elias Lindgren is Episcopal Academy’s premiere mid-distance runner. He won the 800, 1600 and 3200 meters at the Inter-Ac championship: only one of four Inter-Ac runners to ever accomplish that feat. With a 4.1 average, he’ll be going to Williams College. Julian Klenner, the co-captain of Westtown School’s track team, claimed 1st place in the 200 and 400 meter runs at the Friends Schools League championships and PAISAA (Pennsylvania Independent Schools Athletic Association), where he holds the records for both events. The Friends’ Central School girls’ track team, led by seniors Ava Forman and Gabrielle Wilkinson, won the Friends League championship. Forman won the javelin and 100 and 300 meter hurdles; Wilkinson, the 800 and 1600 meter runs. They also inspired underclassmen to other 1st place finishes, including freshman Inara Shell and sophomores Rebecca Wucinich and Izzy McFarlane. The 4×400 and 4×800 meter relay teams also won. And FCS won the PAISAA track championship for the first time in history. Coach Michelle Crowley proudly praised Forman and Wilkinson for their “outstanding performances on the track and outstanding presence of mind on and off the track.” They’re headed to the University of Florida and Washington University, respectively. Senior Kayla Woods has captained The Tatnall School’s girls’ team for two years. She runs—her 400 meter mark is 57 seconds, her 200 meters is 25 seconds, her 100 meters is 12.3 seconds—and she jumps —scoring 19’8” in the long jump and 5”4” in the high jump. Next year, she’ll attend Richmond University. 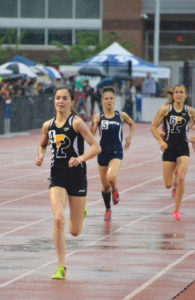 Her spirit is rubbing off on her sophomore sister Kimmi, who is already “breaking class records … and winning major competitions,” according to Coach Patrick Castagno. Padua School senior Lydia Olivere has “re-written the record books and is the most accomplished distance runner to come through its cross country and track and field programs,” says Coach Marnie Guinta. Olivere holds 18 school records, 2 Delaware state records, 2 state meet records, 12 team state titles, and 25 individual state titles. Next year, she’ll attend Villanova University. In retrospect, 2018 will be viewed as a great year for independent school sports. Our students succeeded, some on a national scale.